First one on Erkki's last post is AS Val, silenced assault rifle. Sako TRG (or was it TPG? ), and SVDS? On that last picture looks like VSS. Sako TRG (or was it TPG? ), and SVDS? 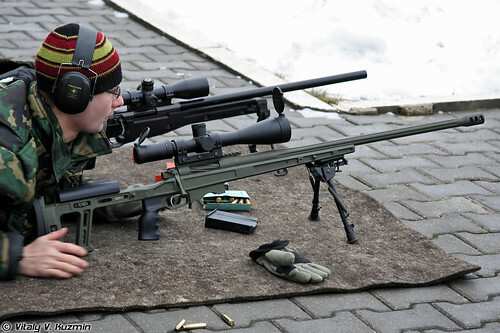 I'd say that sniper rifle in upper picture is not Sako TRG, at least not with standard Sako stock. 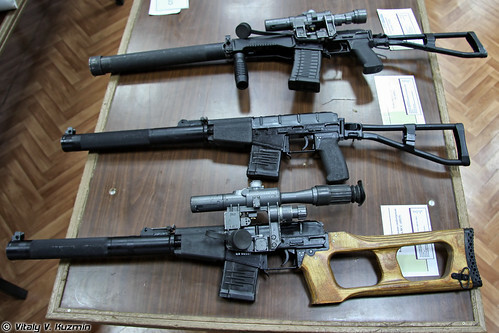 The black rifle appears to be one of the Accuracy International varieties. 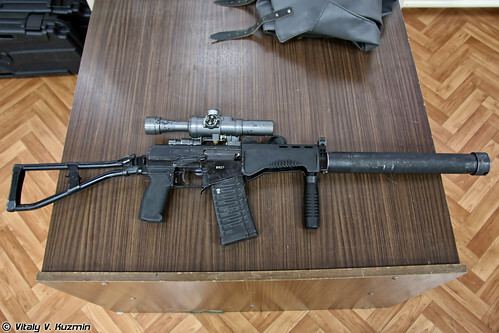 I'd guess the AE as it does not have a muzzle brake. Very likely, I actually got no answer to the one in the back. Hmm, the green one could be a GOL sniper...I'll hazard that guess. 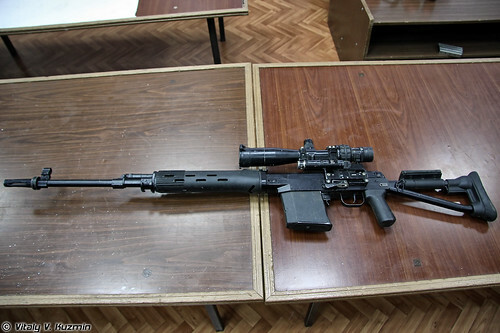 Looks like a weapon from the best Sniper rifle makers on earth. He got it! Rep for you!